A life lived at the edge of the sea is one of exceptional beauty combined with an exquisite danger. 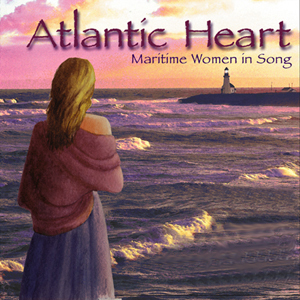 The life on Canada's East Coast is no exception and this new compilation brings us thirteen of the region's finest and most popular women recording artists. These talented singer-songwriters sing of home and family, heritage and heartbreak - of the dangers of eking out a living from the briny depths of the ocean or the close depths of a coal mine. These songs also reflect varied cultural backgrounds - from the Celtic to the Acadian. This collection is as rich in its diversity as it is remarkable for its unanimity of spirit.